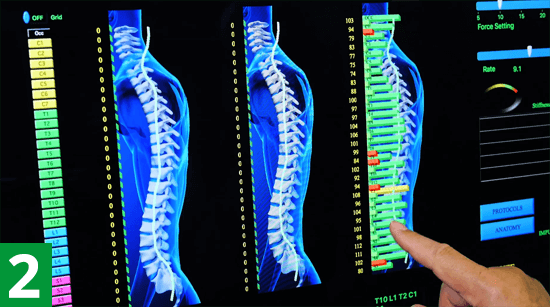 The computer analyzes your spine and identifies tight areas that need treatment, then it helps the doctor apply precise pressure in precise areas. The chiropractor uses the PulStar to direct a gentle impulse to the patient’s spine. It records the resistance given back to that force, then displays a graphic representation on the computer screen. Red and yellow indicate problem areas. 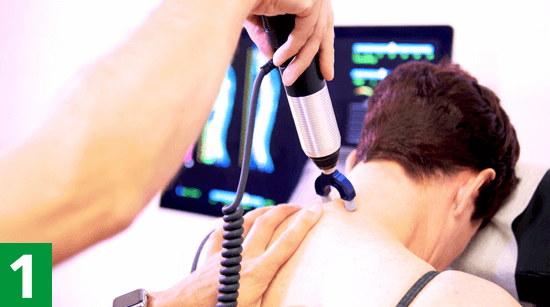 Using impulse therapy, the doctor applies precise pressure in precise areas–no cracking and popping. Patients often feel greatly reduced pain in three or four visits. 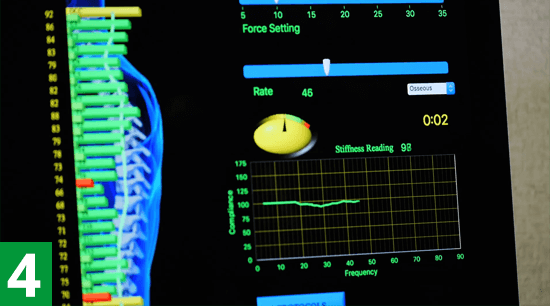 “I have sought out the PulStar machine at participating chiropractors for over 12 years in 4 states because I have experienced that this treatment keeps my neck in place longer than spinal manipulation. I was having headaches after conventional treatment which is a warning sign. I will never agree to any treatment other than the PulStar. PulStar doctors relieve pain on an impulse. Are you a chiropractor? Check out PulStar for Chiropractors.